Oxford, the famous university town, is about 60 miles from central London. True to its legacy, Oxford has some of the best museums in the world. The Museum of the History of Science is the world’s oldest surviving purpose-built museum, and showcases a rich collection of scientific instruments, across the ages. The Oxford University Museum of Natural History has a rich collection of natural history specimens. The Bate Collection of Musical Instruments is a rich treasure house of musical instruments, from the medieval times to the present day. Pitt Rivers Museum displays a large collection of archaeological and anthropological artefacts. The Story Museum explores and celebrates stories in several formats. The Ashmolean museum of ancient and modern art has antiquities and various works of fine and applied art, from across the world. The Bodleian Library, Oxford University’s main research library, stocks over 12 million items. Oxford breaths culture. The Sheldonian Theatre, besides being an architectural masterpiece, is the University ceremonial concert hall. Ultimate Picture Palace is a popular art-deco independent cinema, house, showcasing indie movies. The Phoenix picture house, Burton Taylor Studio, and New Theatre Oxford are other major theatres. O2 Academy is a massive concert and clubbing venue. Kassam Stadium is the home stadium of Oxford United Football Club. Oxford has several natural attractions. The University of Oxford Botanic Garden, the oldest scientific garden in the world, showcases over 5000 species of lush flora. Its satellite, the Harcourt Arboretum, offers an interesting collection in its own right. The Brentwood Forest is a peaceful area, and a good way to get away from the maddening crowds. The Castle Mill Stream, a backwater of the River Thames, is a quaint river, with opportunities for fishing. 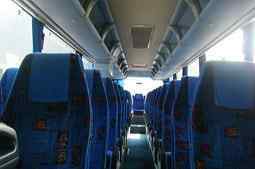 Our Oxford minibus hire is the best way for your group, be it small or large, to travel in and around Oxford, for any purpose. Our services are in high demand across town, with various groups of students, institutions, tour groups, tourists, colleagues, corporate houses, businesses, families, event mangers, and others, preferring us, over anyone else, for their various group travel requirements. The top reasons for our minibus hire in oxford include airport transfers, concert transfers, sightseeing trips, day trips, nites out trips, stag do and hen do nites, visit to racecourses and golf courses, business and shopping trips to London, private events such as weddings, funerals, and birthday parties, corporate event transfers, employee pickup and drop, and for several other purposes. 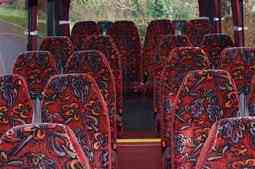 There are many reasons why we are the number one Oxford minibus hire providers. We offer impeccable services, with our fleet of Volvos, Ford Transit, Mercedes 16 seater, and Ivecos, offering unprecedented levels of comfort for your group. Powerful multi vent air conditioning, plush and wide leather seats, with individual seat belts, head rests, arm rests, ample leg space, overhead reading light and luggage rack, the top music system, and several other features make our fleet the most desired one. Our customer support team can be relied upon for any help or assistance you require, be it provisioning for any add-ons to your trip, arranging for pick up of group members from different places, specifying a choice of movie or song, provisioning for any other games or entertainment, arranging snacks and refreshments on board, making and following up on appointments at the destination, or anything else. We at oxford minibus and coach hire offer the best drivers, who are skilled, and experienced, and know how to handle the vehicles exceptionally well. Our drivers are trained in customer care as well. We offer the lowest rates in town, with our rates being significantly lower than what competitors charge, or the charges it cost to avail any other alternative service. Our low rates are a direct result of our smooth and efficient operations. We have fine tuned systems to eliminate waste, and all our vehicles are optimized and require very little maintenance. We pass on the savings to you, in the form of low rates. Our services are very flexible as well, offering you unbridle freedom to do your own ting. We believe in serving customers what they prefer, rather than pitching customers to accept what we offer. 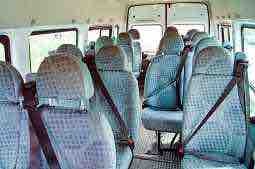 Book your minibus hire in Oxford today. We have simple and easy systems in place, to ensure all your interactions are seamless and hassle-free. Our Oxford minibus services are available round the clock, at all places served under OX postcode area.